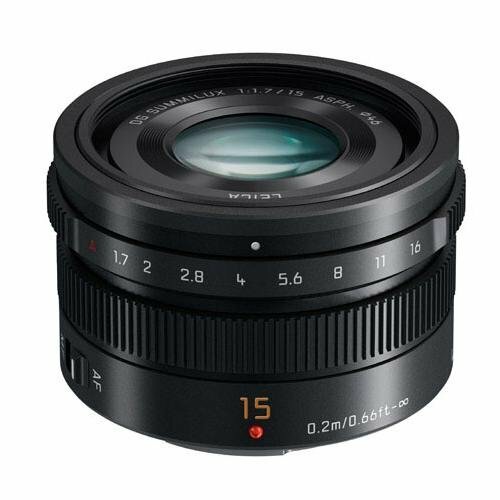 Panasonic has unveiled a new digital interchangeable lens, the Panasonic 15mm f1.7 Leica Summilux DG ASPH Micro Four Thirds Lens (35 mm camera equivalent: 30 mm) for the LUMIX G range, based on the Micro Four Thirds standard, which is both compact and lightweight. The new lens system comprising of 9 elements in 7 groups uses 3 aspherical lenses. The aspherical lenses suppress spherical aberration and distortion effectively while enabling the lens unit to be made smaller. Panasonic's Nano Surface Coating technology is adopted to minimise the reflection at entire visual light range (380nm-780nm) resulting in the super clear picture quality by avoiding ghost and flare. Notably the performance of AF is by far superior to the phase-difference AF when fast lenses with a smaller F value are used. It is also compatible with the sensor drive at max.240 fps to take maximum advantage of the high-speed AF of LUMIX G cameras.